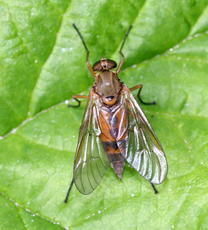 Length 8 to 14 mm. 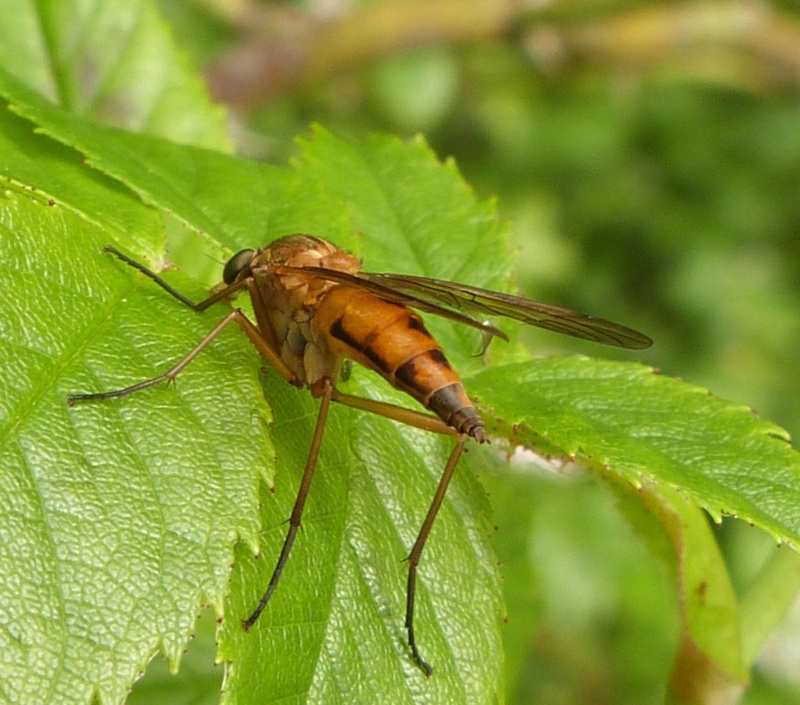 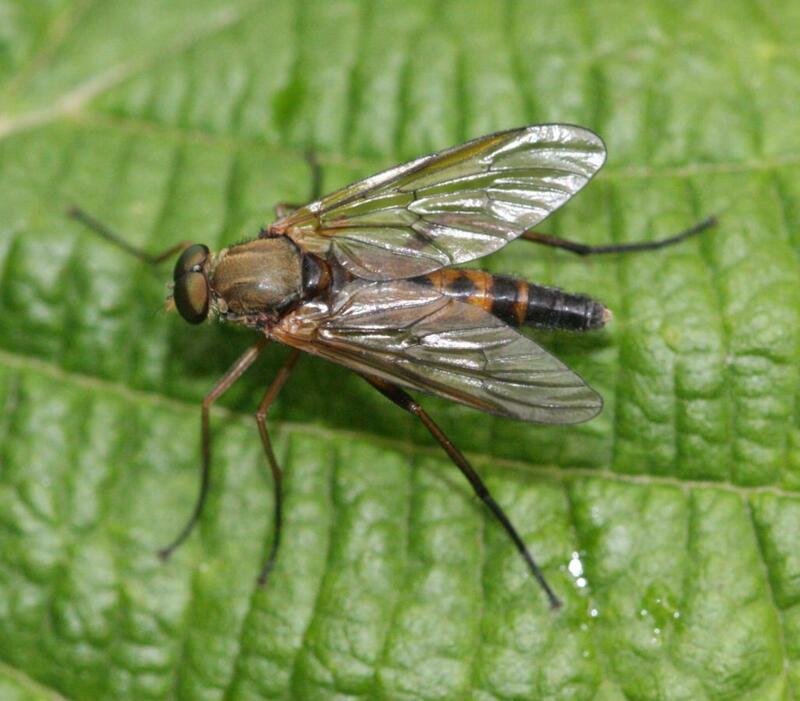 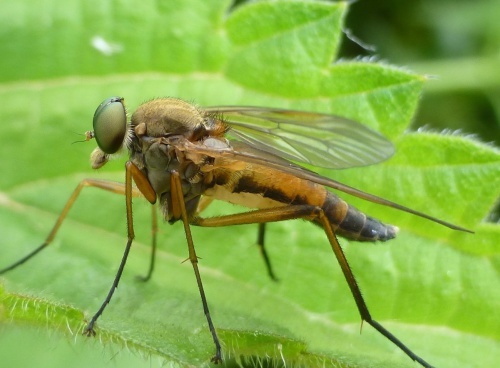 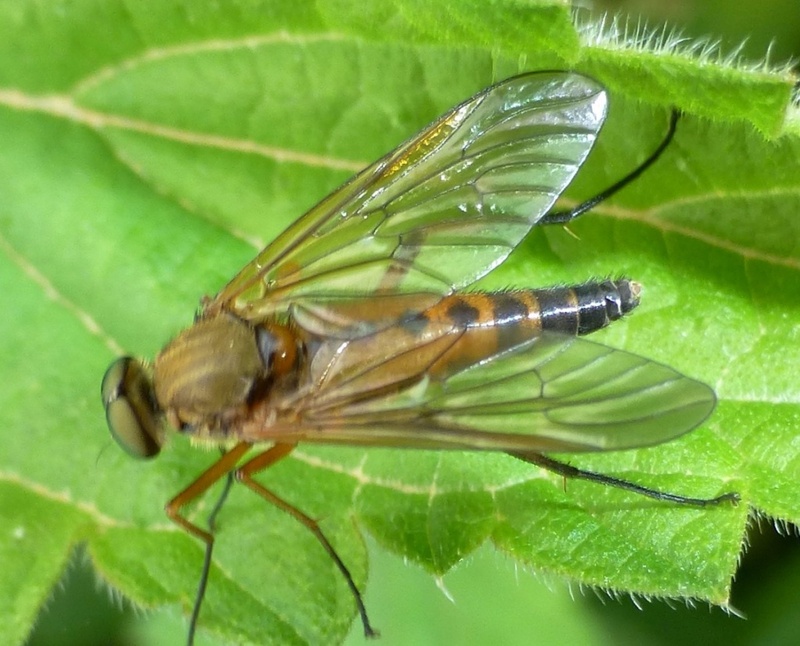 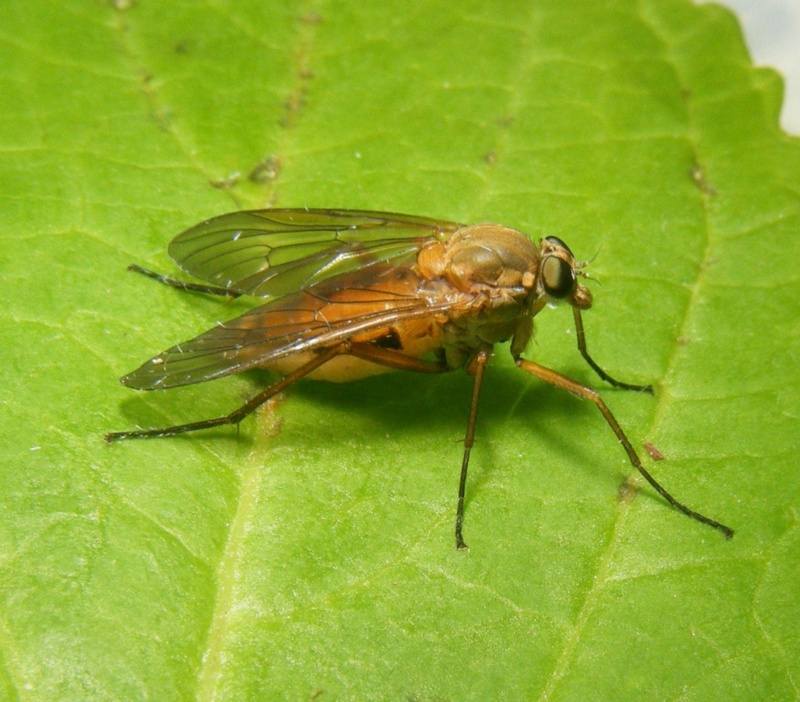 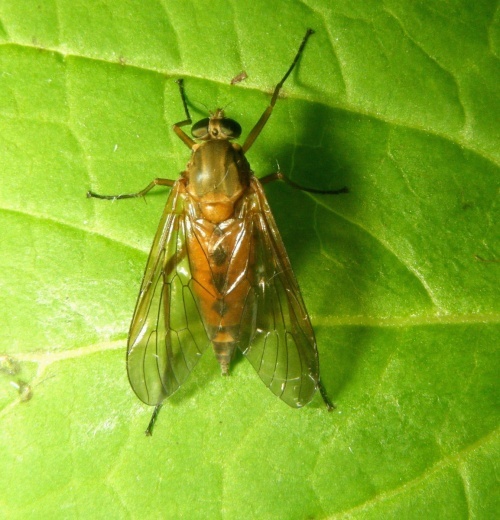 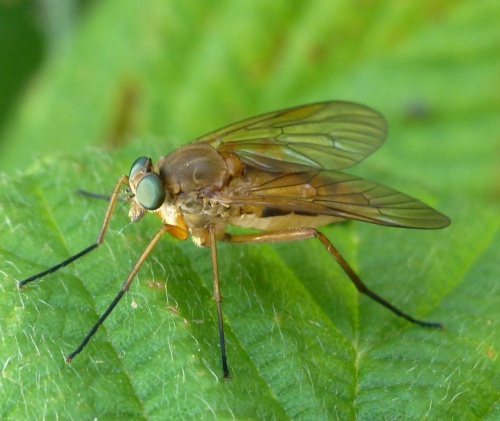 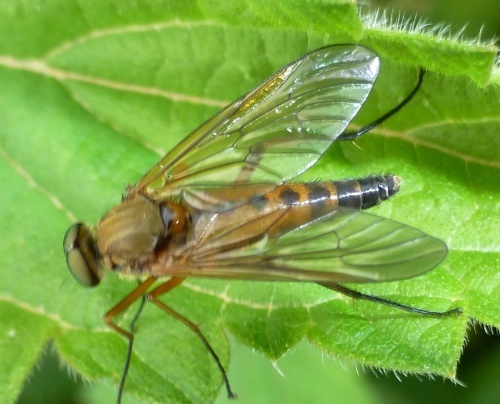 Like other Rhagio species, R. tringarius is a yellowy-orange fly with long, slender legs. This species lacks the dark wing stigma of most other Rhagio species. The black patterning on the orange abdomen is variable, sometimes showing as diamonds or triangles but in others it can be generally lacking altogether. 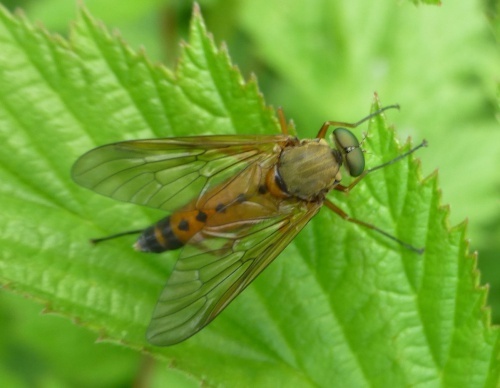 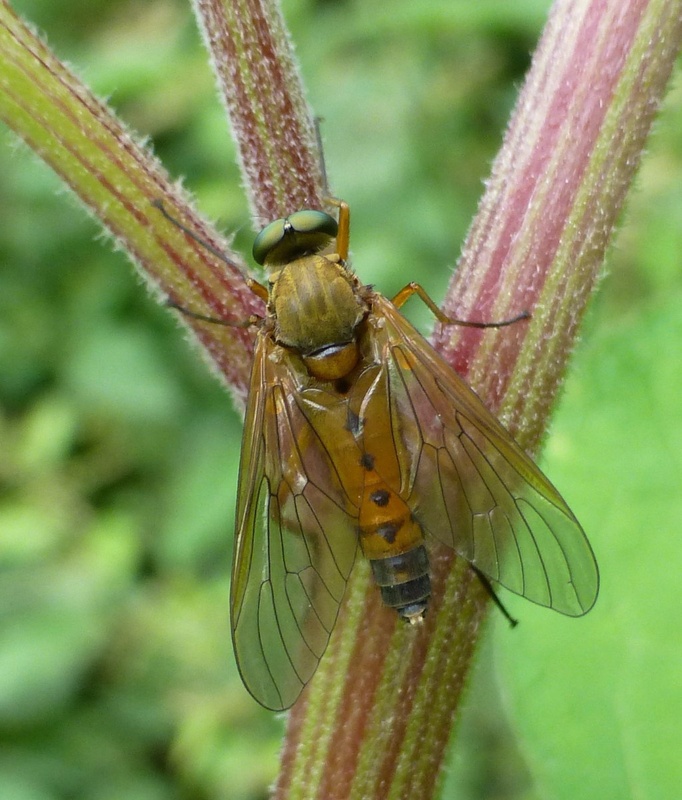 Six species of Rhagio have been found in the UK. 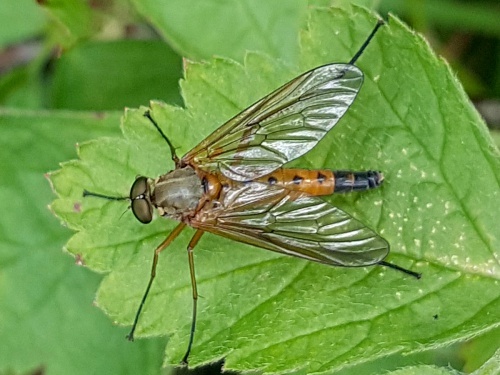 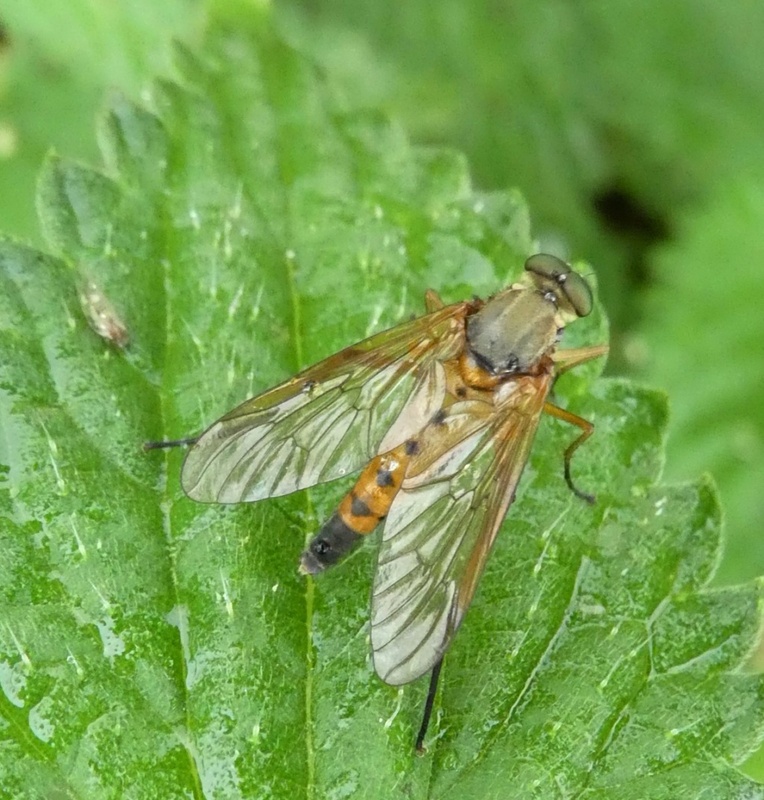 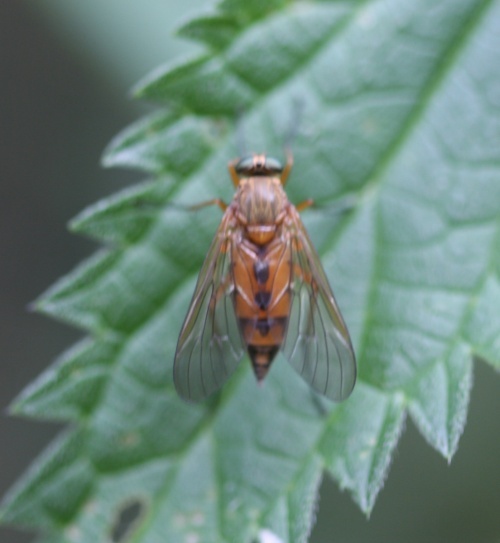 The only other species lacking wing markings and a dark stigma is the rare R. annulatus but this species has black humeri and palps whereas in R. tringarius these are yellow. 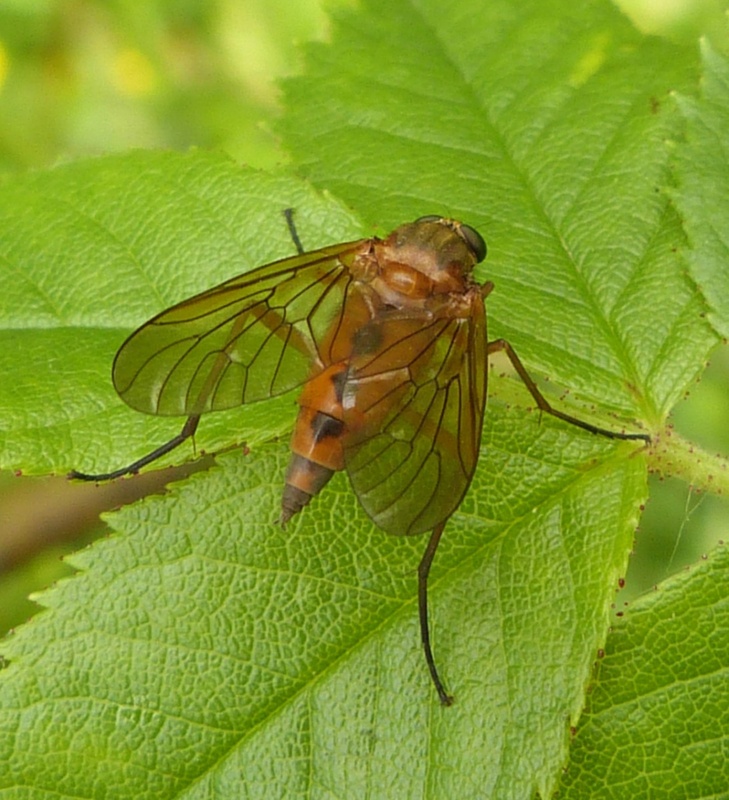 Rhagio triangularis is usually found resting on leaves and rarely sits on tree trunks and fence posts like some other species in this genus. 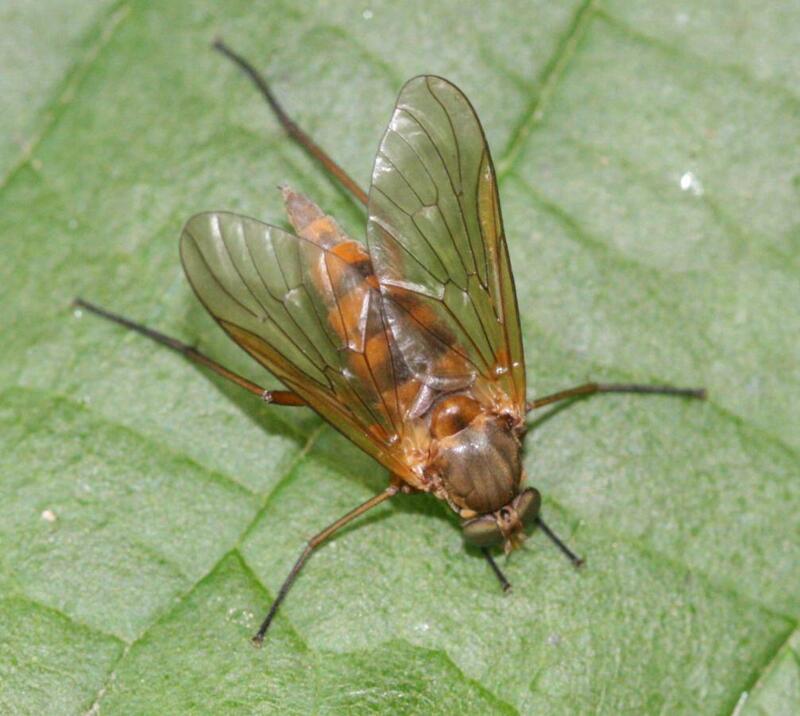 Their larvae dwell in the ground.